Good leadership is a curious thing. Lots of brilliant minds have tried to describe it, and lots of feeble minds have misunderstood it. The subject is made more difficult because people use words like charismatic, visionary and brilliant to describe some people who have been successful, while using words like autocratic, ruthless and stern to describe others with a history of success. 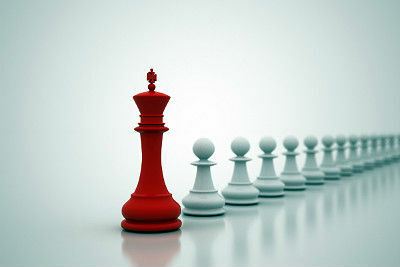 Does personality define the leader, or is it something else? And how does someone travel from being inexperienced to becoming a good leader? My point of view is that leaders are the people who see what must be done and then volunteer to be the one to take charge. There are people who have the positional authority or the leadership title who have not accepted the responsibility of leadership. And the internal drag of bad leadership ruins more businesses than any external factor such as economic climate or tax policy. Bad leaders succeed in making their employees wish they worked somewhere else. They micromanage, bully and coerce their way to failure. Good leaders understand what it takes to get a group of people to do good productive work and they make the tough choices to keep the team on track. Good leaders understand that modern employees are different than 19th century factory workers. They need to be managed in a way that makes them feel good about where they work and what they do. Otherwise they are disengaged and undermine the productivity of your operations. The three secrets to success for a modern-era leader are much simpler to explain than they are to do. They involve three modes of behavior. The first secret skill good leaders must have is the ability to coach their teams. They must be able to build the knowledge, skills, attitudes and abilities in their team that the team needs to succeed. To do this, they must understand where they are headed, be flexible enough to adapt to the motivational needs of each employee, and learn to apply the right motivational technique at the right time for the right person. A good leader must learn to take command when he/she needs to, but also know how to avoid micromanaging. A leader must act to keep the team on task without concern for popularity or consensus. To excel as a commander, the leader must live the mission of the organization, must understand the context in which events are playing out in real time, and must make the right call for the current conditions. And the third mode — which holds everything else together — is that the good leader must create an environment in which the team can thrive. Good leaders encourage their team to seek new and better ways of doing things while simultaneously removing the artificial barriers to their success. Creating an environment focused on success requires the boss to understand the vision for success, inspire the team to achieve more than they thought was possible, and energize the process of accomplishment. Good leaders protect their teams from busy work, bureaucratic malaise and internal impediments to progress towards the team goals. Keep these three modes in mind if you want to be a successful leader.